Lolke is a tall, impressive stallion with a gentle character. He has a pleasing head, a beautiful expression and important attributes that are highly-valued by today’s standards: long neck, uphill conformation, long forearm and an exceptional walk. 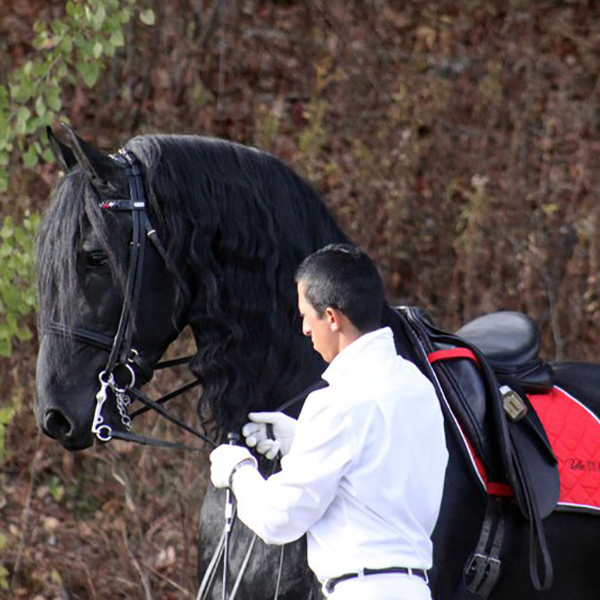 He is modern without sacrificing the extreme type that sets the Friesian apart from other sport horses. 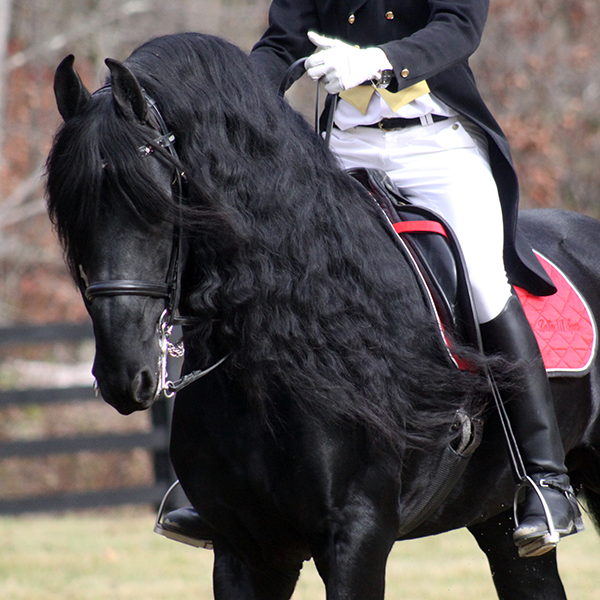 He has a jet black coat and masses of mane, tail and feathers. Since obtaining his breeding license, Lolke has always been judged a 1st premie. 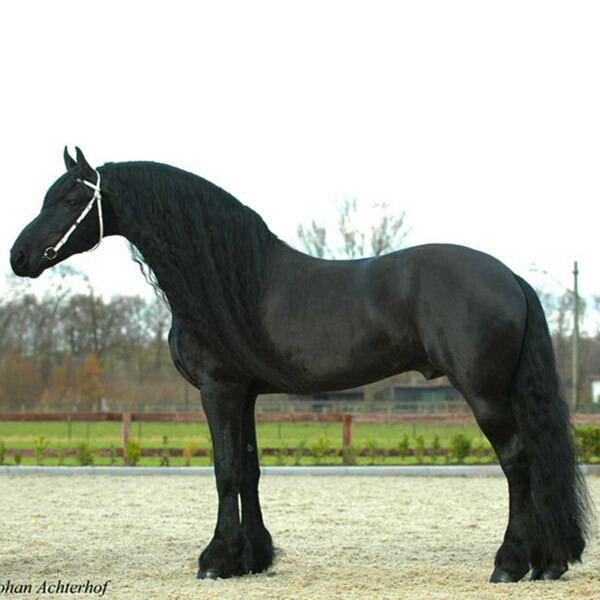 He was popular with Dutch breeders prior to coming to America. In 2004 and 2005, he was second only to Jasper in number of mares serviced. 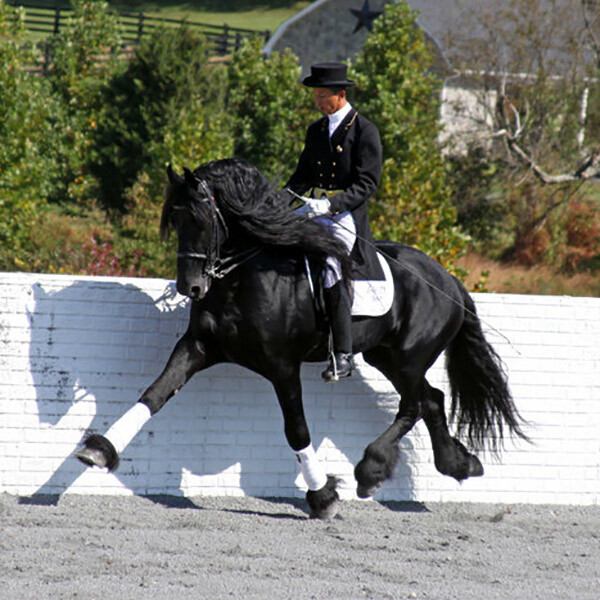 He successfully competed in dressage shows in Holland, reaching Z–Level, and in 2008 he was awarded the coveted Sport Predicate. His last rider in Holland, Sylvia Walczak, rode Lolke in her colorful Marco Borsato “Rood (Red)” musical freestyle exhibitions. 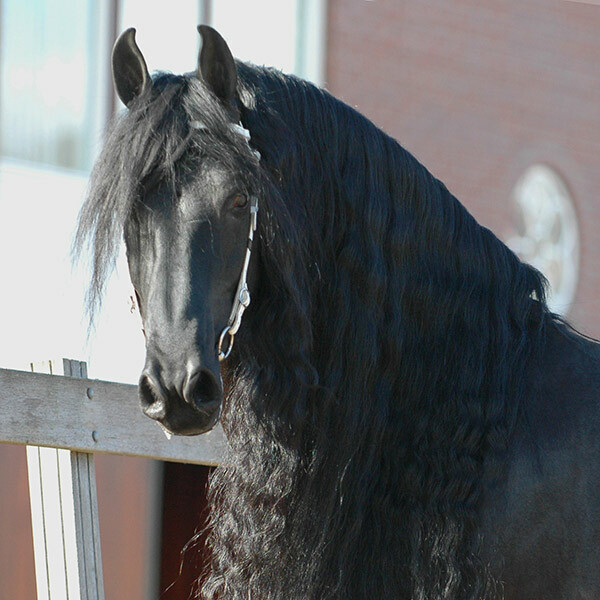 A study of Lolke’s pedigree reveals why his success as a breeding stallion is not surprising, being the son and grandson of two preferent stallions, Oege 267 P and Reitse 272 P, one of the golden crosses in Friesian breeding. His motherline, Stam 15, is a performance line. Lolke has 89 Star daughters, 2 Model mares, 5 Crown mares, 1 Approved Son, 2 Approved Grandsons and 16 Sporthorses. 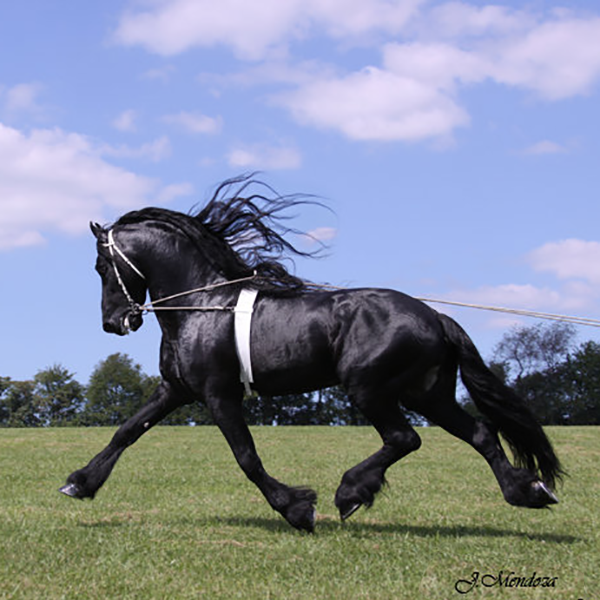 In October, 2008, Lolke daughter Dirkje Dopey van W. was judged Best-in-Show at the prestigious Esbeek Keuring out of 350 entries. Another Lolke daughter, Peaskeblom fan ‘e Krudikker, competed in the Eurobottle-Cup Finals in Marienheem in December, 2008, winning 1st place Dressage Mares with a total score of 75.63%. 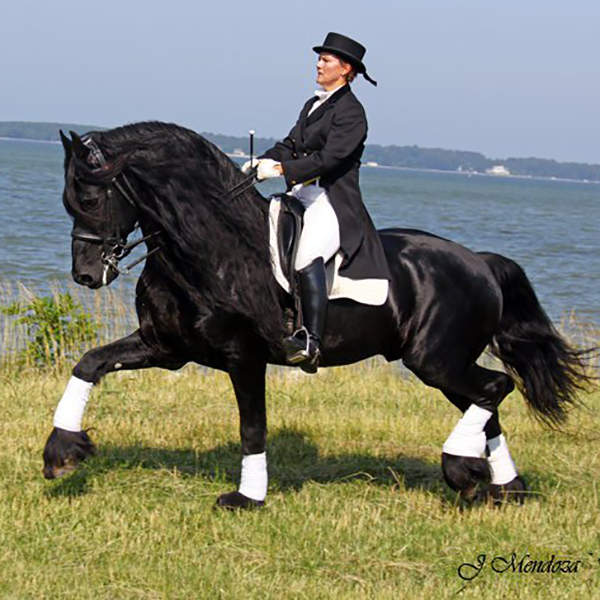 At the 2013 IFSHA World Horse Show, his daughter, Kaatje W., garnered the title of National Champion Friesian Sport Horse in Hand, Mares 2 and Under. 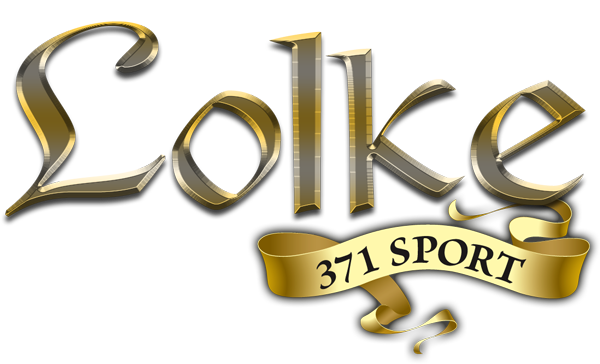 Felle 422 Sport, Lolke’s young son, is already making a name for himself in Holland. 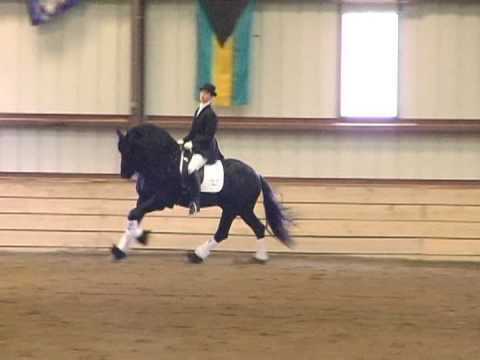 He won the 2010 Pavo Dressage Competition at the Stallion Show. 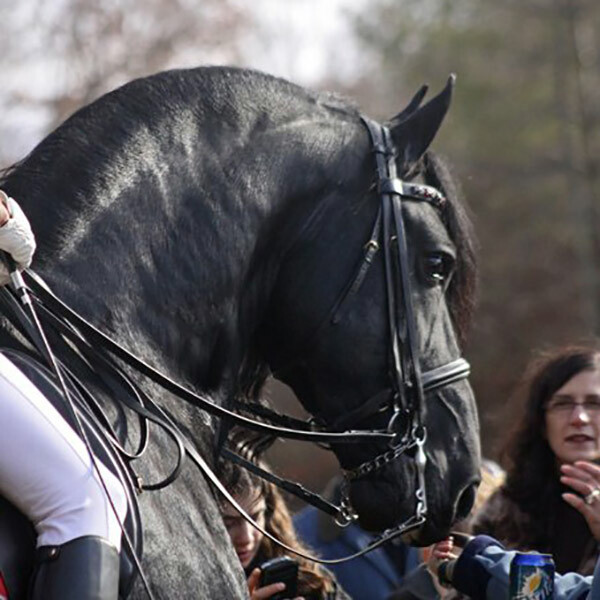 His daughter Tinneke R. was champion of the Esbeek Jubilee Keuring. He also has 2 Approved Sons: Wolfert 267 and Alwin 469.